Here are some of our Rewards Programs to show our appreciation for our loyal customers! Nothing beats homemade Ice Cream on Your Birthday. Click here to get a special treat for your big day! Get 1 Point for every item of Italian Ice, Ice Cream, Gelato, Shake, Sundae, Float, or Eggcream you buy! Get $4 off your next item when you reach 12 Points! Click here to sign up, or to Check how many Points you have! No more forgetting your card or wasting paper! Our new Digital Punch Cards make it even easier to get rewards for eating your favorite desserts! Just enter your Cell Phone Number at the Register, and you’ll get a Text Message every time you earn a Reward! When you’ve earned a Reward, just let us know when they ring you up, and we’ll do the rest! Points may expire after 12 Months. Your phone number is securely stored in our system and will not be shared or used to contact you except for rewards and purchase information. Still have our old Pesso’s Punch Cards? We will still honor them! Bring them all in and combine them, and switch over to our New Digital Punch Cards! Pesso’s Gift Cards are available for purchase in-store or online. Makes a great gift for birthdays, holidays, class gifts, party favors. Reload it for yourself, or for a child as a Pesso’s Allowance! Automatically links with our new Digital Punch Cards. Buy a Pesso’s Gift Card Online! Use your phone to Check-In at Pesso’s on Yelp to score a discount on your purchase! 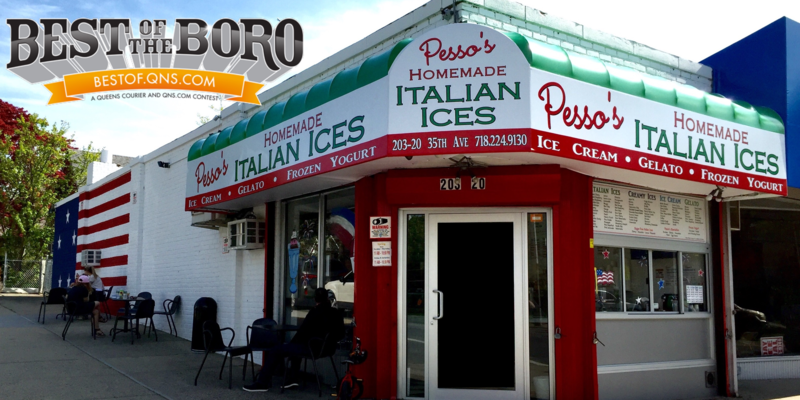 Show your love for Pesso’s anywhere you are with your very own Pesso’s Ices sticker! A super durable vinyl decal, it’s waterproof, dishwasher safe, and fade-resistant. Perfect for laptops, phones, cars, water bottles, and more!